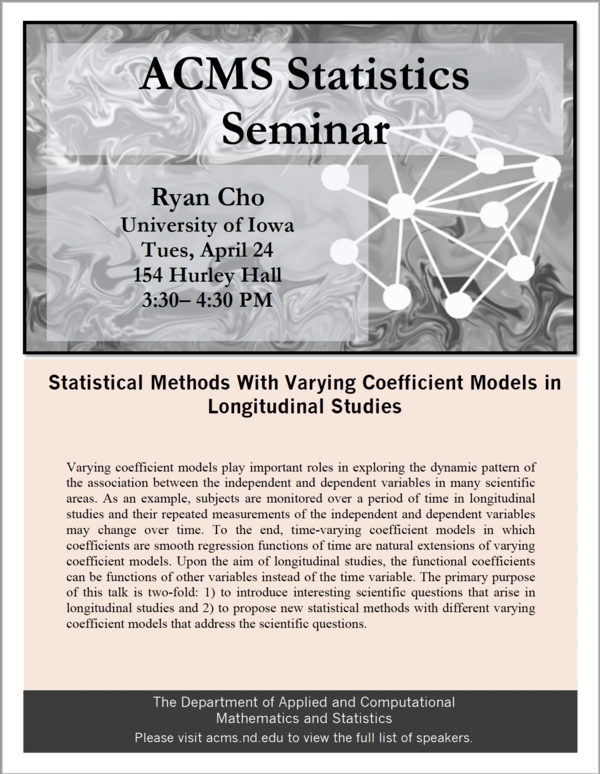 Varying coefficient models play important roles in exploring the dynamic pattern of the association between the independent and dependent variables in many scientific areas. As an example, subjects are monitored over a period of time in longitudinal studies and their repeated measurements of the independent and dependent variables may change over time. To the end, time-varying coefficient models in which coefficients are smooth regression functions of time are natural extensions of varying coefficient models. Upon the aim of longitudinal studies, the functional coefficients can be functions of other variables instead of the time variable. The primary purpose of this talk is two-fold: 1) to introduce interesting scientific questions that arise in longitudinal studies and 2) to propose new statistical methods with different varying coefficient models that address the scientific questions.